The Supreme Court in Sims v Dacorum  UKSC 63 ended (for now) the belief of many housing practitioners that the common law rule in Hammersmith v Monk  1 A.C. 478 would have to be revisited in light of the Human Rights Act 1998. Monk affirmed the rule that, unless a tenancy agreement provides to the contrary, a unilateral notice to quit (NTQ) served by one of a number of joint tenants will bring the tenancy to an end regardless of the wishes of the other, who becomes an instant trespasser with no rights of occupation, losing all security and any ancillary rights – in the case of a secure tenant, very valuable ancillary rights, including RTB, security, succession and so on, all without the benefit of any judicial process. A previous post, Buckland v UK, considered the extent of Art.8. That case concerned a possession order made against an occupier of a mobile home on a local authority site in Wales. At that time, the mobile home agreement did not fall within Mobile Homes Act 1983 so as to confer full security (this changed from July 10, 2013). The protection afforded to Ms Buckland was, therefore, limited to the court’s power to suspend a possession order for up to 12 months at a time under Caravan Sites Act 1968. The district judge granted possession but suspended the order for 12 months. As the law stood at that time (Kay v Lambeth LBC  UKHL 10;  2 A.C. 46), the judge was unable to consider whether a possession order would breach Ms Buckland’s Art.8 rights and therefore no proportionality exercise was carried out. “The decision that suspension is insufficient is very important indeed: incompatibility was only remedied by removing even the threat of eviction. In many cases, this will be a difference without a distinction, because refusal of a possession order still leaves the tenancy in existence, eg introductory tenancies, demoted tenancies, flexible tenancies, ie the tenancy continues until the court decides that it is to end. That is not so, however, in the case of, eg Part 7 tenancies or family intervention tenancies or where a secure or assured (or other) tenancy is brought to an end by a joint tenant’s notice to quit. If a court finds that it would be disproportionate to make an order, then – at any rate on the face of it the former tenant will still have no domestic right of occupation and his position will be akin to that of the tolerated trespasser. “Given that a finding on proportionality is temporal in quality (ie it turns on specific facts at a given time, which facts may change) – this plainly leaves the occupier in such cases as much at risk of eviction as in Buckland – if not more so, because in Buckland there was a period for which the occupier was not under threat of eviction (the period of the suspension) while in the cases we are talking about, there is the constant risk of repeat proceedings, not even confined to the occupier’s circumstances but, eg if other demands on the local authority landlord are said to have changed so that the balance is affected. The Monk device is most commonly used when a joint tenant leaves a property citing domestic violence and seeks assistance from a local authority under Part 7, Housing Act 1996. 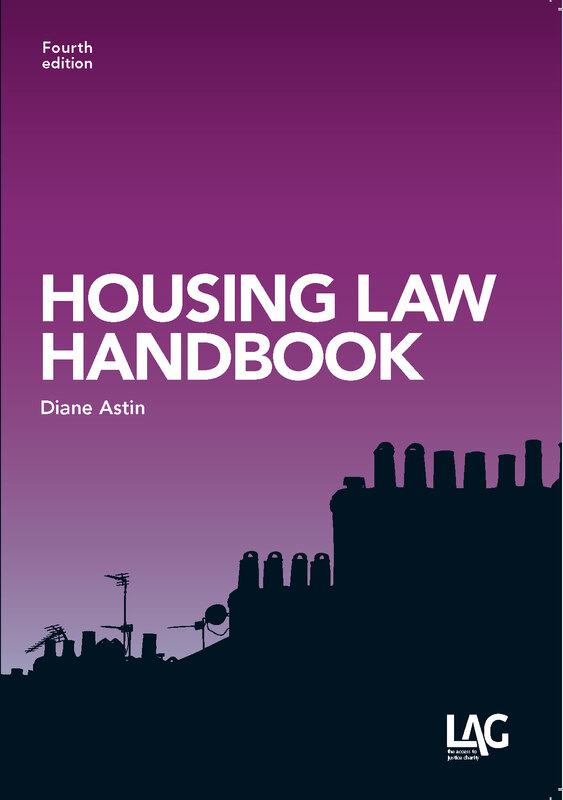 As it is not reasonable to occupy accommodation if it is probable that it will lead to domestic violence (1996 Act, s.177), she (as it will usually be) must be found homeless and unintentionally so. Subject to eligibility and priority need, that person will, therefore, be owed a full homelessness duty. 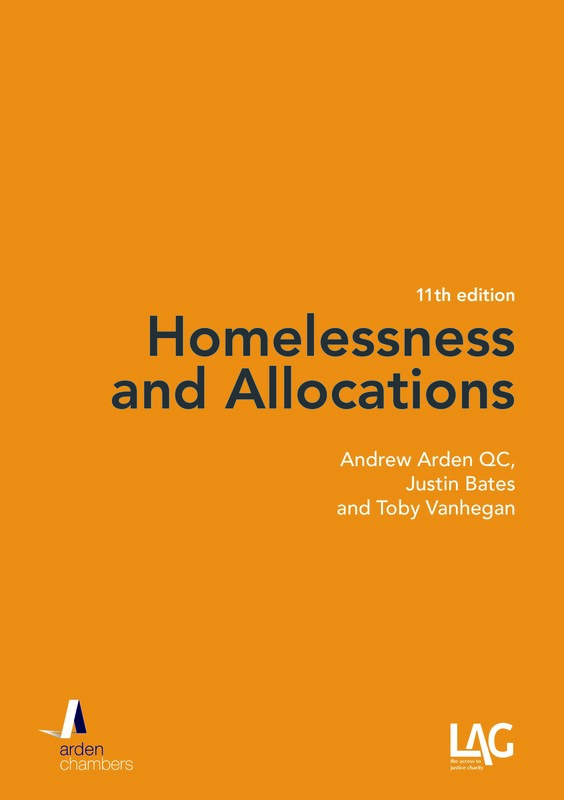 In these circumstances, most local authorities will not offer permanent accommodation in discharge of the homelessness duty unless the joint tenancy has been brought to an end. It is common practice for local authorities to provide a pro forma NTQ so that this can be done. The case of Sims was in this category. Mr Sims and his wife were joint secure tenants of Dacorum BC. Mrs Sims left and moved into a women’s refuge claiming that she had been a victim of domestic violence. Mrs Sims applied to Wycombe DC for accommodation and was told that she could not be granted a tenancy whilst she remained a joint tenant of a property elsewhere. Dacorum BC, therefore, suggested that she serve a notice to quit which she did and the tenancy ended. It was contended by Mr Sims that the rule in Monk was incompatible with Art.8 and Article 1 of the First Protocol (A1P1). In the Court of Appeal, he accepted that the court was bound by Monk so he sought permission to appeal to the Supreme Court (this was refused by the Court of Appeal but granted by the Supreme Court). In light of Buckland, it was argued that the ability to raise an Art.8 defence during possession proceedings brought against the former joint tenant was insufficient to comply with Art.8 as the court would not have the ability to resurrect the tenancy or grant a further tenancy: even if an Art.8 defence were successful, this would still leave the former joint tenant in limbo as a trespasser. Reliance was also placed on the statutory protections provided under Family Law Act 1996 and the specific grounds for possession concerning domestic violence in respect of secure and assured tenancies (Ground 2A and 14A respectively). The Family Law Act 1996, s.53 and Sch.7, allows spouses, partners and cohabitants to apply to court for the transfer of, amongst other things, a joint tenancy of property which has been the couple’s home to that person alone (including a secure or assured tenancy, Sch.7, para 1). (There is also the possibility of a transfer of the tenancy under s.24, Matrimonial Causes Act 1973). The right is not, however, available once the tenancy has come to an end. 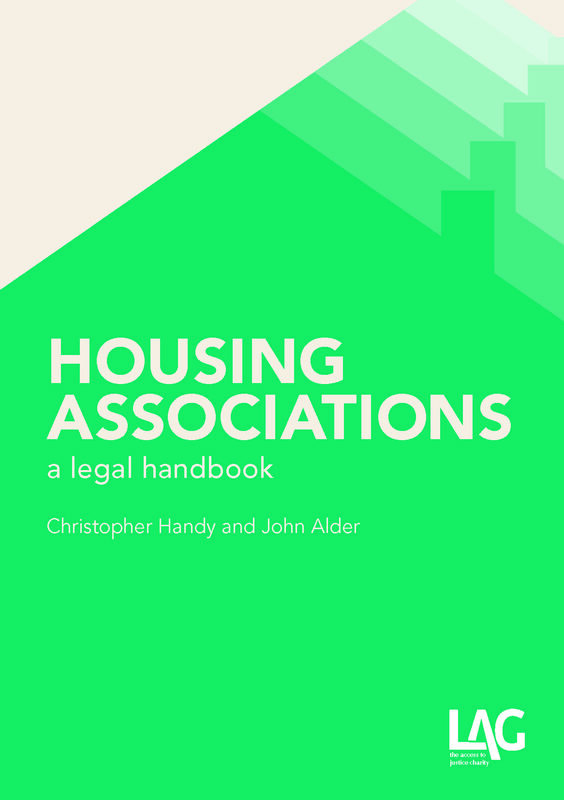 The vast majority of joint tenants will be in a relationship which would fall within these provisions. The rule in Monk is at odds with the statutory purpose to protect a joint tenant’s interest in the event of a relationship breakdown and to allow a court to decide who should get the family home. This affords the degree of judicial oversight that is at the core of what Strasbourg decisions suggest is fundamental in eviction cases. The rule in Monk, as it operates where there has been domestic violence, also bypasses the statutory grounds for possession specifically designed to address domestic violence (Ground 2A for secure tenancies and Ground 14A for assured tenancies). These grounds likewise afford procedural safeguards for the remaining joint tenant: the ground has to be made out and the court must also consider whether it is reasonable for a possession order to be made. Those safeguards will not be in place where an NTQ has been served by the other joint tenant at the request of the local authority. The Supreme Court did not address the power under the Family Law Act 1996 to transfer the joint tenancy to a sole tenancy or the statutory grounds for possession which would remedy the potential harm identified to a joint tenant in Mrs Sims’ position and the landlord. The decision in Sims is at odds with Buckland for the reasons identified in the post referred to above (Buckland v UK), in particular the reference to being able to stay “in the long term”. Whilst the domestic remedies are now exhausted in Sims, there remains the option of application to Strasbourg. Whether or not this is taken up by Mr Sims or, as it inevitably will be, by someone else, the outcome does leave us wondering whether we are heading towards a repeat of the ping-pong that took place between the courts here and in Strasbourg, in Harrow LBC v Qazi, Kay v Lambeth LBC, Doherty v Birmingham CC, Pinnock v. Manchester CC and Hounslow LBC v Powell before – finally, reluctantly – the courts here recognised that Strasbourg really is serious about ensuring that evictions from a home do take place with an element of judicial scrutiny, something one would have thought was a basic right even if, in the sister case of CN (see Dwelling on the benefits of bad law), that too was rejected by the Supreme Court.